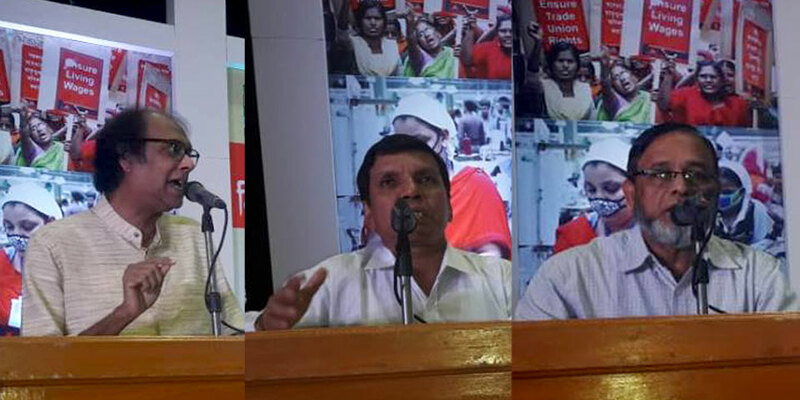 YPSA and BITA jointly arranged a discussion meeting on World Day for Decent Work with the support of ActionAid Bangladesh. 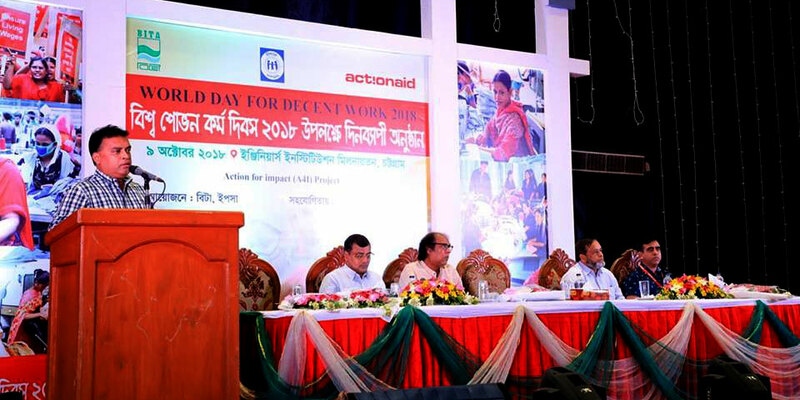 The event took place at the premises of Chittagong Engineering Institution, on 9 October, 2018. Chittagong Divisional Director (Local Government) Mr. Deepak Chakraborty, Deputy Inspector General at Department of Inspection for Factories and Establishments Abdul Hai Khan, Chief Executive at YPSA Md. 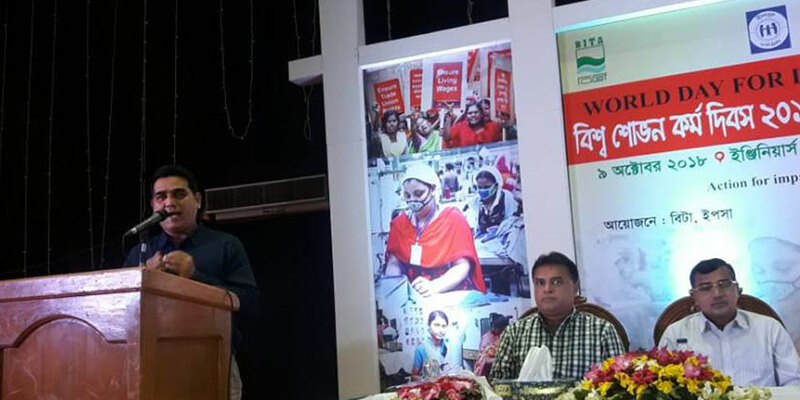 Arifur Rahman, Executive Director at Bangladesh Institute of Theatre Arts (BITA) Sisir Dutta and Mohammad Ali Shahin Project Coordinator at YPSA spoke in the meeting. According to the ILO, decent work sums up the aspirations all people have for their working lives. This includes a fair income with security and social protection, basic rights, equality of opportunity and treatment, prospects for personal development.